"Death at any time is tragic, but when it strikes a relatively young person in the prime of his life and at the height of his powers, it is devastating." IFBB Constitution. I have a faint suspicion that, after reading this article, there are those who will shove me on their shoot list (with all the enthusiasm of Albert Schweitzer running to an organ recital). I say this because as you will see, I am as irrevocably opposed to athletes using anabolic steroids as preachers and priests are opposed to sin. I think the use of these drugs is unfair, unsportsmanlike and potentially dangerous; as dangerous as Russian Roulette and as unfair and unsportsmanlike as a boxer with brass knuckles under his gloves fighting another boxer with only standard equipment. I know the above statement is an emotional one, an opinion, at least partly coming from the heart, but this is so because I am not without some bitter and personal experiences. For 20 years, before I retired, I was a law enforcement officer, a member of the Texas Narcotics Officers Association, and the supervisor of a department handling all juvenile offenses referred to a local Juvenile Court - including narcotics violations - and the present widespread use of steroids and by men as well as women strength athletes scares me stiff. I know, from having seen it for years, what harm drugs can and will continue to do. And I know there isn't one victim - the user - as so many claim- but scores. There are the parents, wives, girlfriends, brothers, sisters, relatives and friends and all suffer, all are victims. Not to mention, in the case of the use of anabolic steroids, victimization of your opponents and fair play. 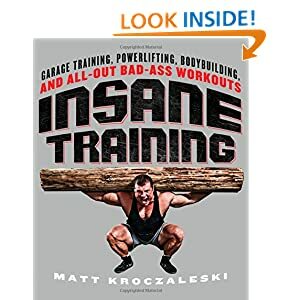 I am further troubled by what seems to be a passion, one could easily use the work obsession, on the part of some strength athletes to win at all costs and by any means; taking part in an athletic activity for the fun one gets out of it and for the health benefits derived is rapidly vanishing. I am distressed because there are many people - especially those at the top of our sport - who are prostituting the very ideals of weight training - "A healthy mind in a healthy body." I cannot remain unconcerned for the future welfare, physical as well as mental, of every contestant in physique and strength contests no matter what his or her status in the sport might by; but I'm most concerned for a group of very personable young ladies I watched competing in a powerlifting contest a few months ago, for I am well aware that if and when they pass the point of beginners, they will, beyond any doubt, come up against the problem of anabolic steroid use. To me, these young ladies symbolize the entire problem. The powerlifting contest I attended was an Inter-Collegiate affair between three Southern States and the universities therein. There were about 35 young women taking part, some of them looking no older than 15 and more suited to the wearing of be-ribboned plaits than the page boy bobs and pony tails with which they were coiffured. But all were over 16 years of age and none older than 22. It was their enthusiasm for the contest that impressed me. They were all rivals but they lifted with one another as well as against one another. They were a happy bunch of training partners and friends, having fun getting a good time out of the contest, and their spirit deeply touched me, and, for a fleeting moment, gave me back some sense of the enthusiasm and youth that long ago left me. The girls cheered when a competitor made a good bench, slapped backs, shook hands and congratulated the successful lifter. When a deadlift went down the drain they all consoled the athlete who failed and hugged her with genuine sympathy. And when the contest was over, the entire group got together, teammates and rivals, ad had their photo taken. It was one of the finest displays of sportsmanship I have ever seen on all my 65 years of association with physical culture. So I went up to the official running the meet and introduced myself. I explained I had been a judge at many AAU Mr. America and local physique contests. I told him I had been secretary of the New York City Metropolitan AAU Weightlifting Committee for several years and I had officiated at many Olympic lifting meets where world and national records had been set. I knew powerlifting, I said, and thought I might make myself useful as a judge, and my experience, such as it was, available. He expressed interest and handed me a copy of the International Powerlifting Federation rules. So I took them home and read them. 17 pages of very small, closely spaced type, the sort of print lawyers warn you to read carefully before signing. What I read not only impressed me but left me dismayed. I was favorably impressed by some of the rules that obviously sought to ensure that every lifter got a fair shake, that no competitor would have an unfair advantage over another. But what dismayed me was that nowhere in the rules was there a single censure against the use of anabolic steroids. So I turned to he constitution of the organization and there found provision for testing competitors, in the event they had been using these drugs, and a penalty assessed suspending them. But nowhere was there any expressed rule which said the use of anabolic steroids by any competitor is strictly forbidden. What ban there was, was to me an implied one and the rule that should have been Numero Uno, at the head of all the other rules , just wasn't there. For without this rule, a Sine Qua Non, a top, if not THE top priority, all the other rules were rendered less potent, and the care used by those who had framed the rules to see that each and every competitor lifted on equal terms with the others was thus rendered less powerful. But to their credit, the IPF has for several years conducted testing at the major international competitions. But sad to say, the USPF has done very little to further the cause of testing. For instance, they have never done standard testing at a national meet for men, and they have only tested once for women and then they never properly followed through on the several positive test results which appeared. As for the rules of the IFBB, the governing body for international physique contests, their rules were couched in stronger terms. In their regulations they said their organization existed to "promote interest in and dedication to better health and fitness through physical culture, proper nutrition and weight training." They further stated that "the IFBB was opposed to the use of drugs that artificially build muscle and strength." They also proclaimed themselves as safeguarding the health and physical fitness of the bodybuilders and to underscore their stand they added, "The use of drugs, as defined by the IOC, is also forbidden. The secretary or the chairman of the IFBB judges committee can immediately disqualify any competitor who breaks these rules." To further implement the ban on drug use by competitors, the IFBB instituted testing for the use of anabolic steroids, starting January 1st, 1985. However it must, in all fairness, be added that the IOC has been testing for steroids since 1976, yet the IFBB has never tested at its top competitions. And it must be further admitted that the testing scheduled to begin this year will not include the Olympia events. To me, actions speak louder than words. I have the opinion, and some may think it simplistic, that ALL judges, referees, coaches and competitors are honor bound to stop the use of steroids where they know them to be used, or to inform the judges committee if they see them being used. It is true that the toughest thing to legislate is morality, but that should not stop us from striving for what we know to be right and true and fair. If we know something wrong is taking place and we stay silent, we are not only aiding the offense, we become accomplices. 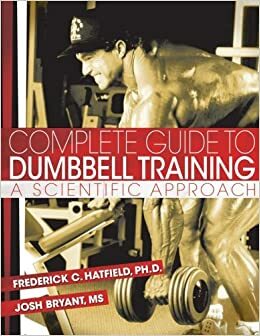 If you believe the use of anabolic steroids by strength athletes and bodybuilding competitors gives them an unfair advantage over other competitors, if you believe the use of anabolic steroids is a health hazard to athletes, then you must ask, "Why isn't something being done - more than has been done - to stop strength athletes and bodybuilders from using these drugs?" How can we answer this question? Perhaps one way is to place some of the rules alongside the horrible effects the use of anabolic steroids have caused. Then we can see where the priority in the rules lies. For example, we have a powerlifting rule that in detail tells us the use of oil, grease and all other lubricants is strictly prohibited. That only powder may be used, that powder includes chalk, talc, resin and magnesium carbonate. That no foreign substance may be applied by the lifter to the platform or equipment. But we have a world class athlete, an anabolic steroid user, at the age of 23 suffering a heart attack and dying. He had no prior history of heart problems. His family had no prior history of heart problems. An autopsy revealed a heart 31 percent larger than acceptable for a man his age, plus an undersized coronary artery. Chalk, talc or resin isn't going to help his lifting anymore. So where does the priority in the rules lie? We have another powerlifting rule telling us that "an athletic supporter or cotton brief shall be worn under the lifting suit. That swim trunks or any other garments which may be rubberized or of similar stretch material shall be forbidden." And we have a powerlifter, just 21 years of age and an anabolic steroid user, suffering a heart attack and subsequently dying in a hospital of pulmonary complications. It is alleged an autopsy revealed a liver so grossly hypertrophied that it weighed multiple times that of a normal human liver. Athletic supporters or cotton briefs won't mean much to this young man anymore. So where does the rule priority lie? We have a powerlifting rule concerning the lifting costume. It tells us the costume shall be full length and of stretch material. We are also informed that shoulder straps must be worn at all times. We are told the length of the leg of the lifting suit must not exceed 14 centimeters from the middle of the crotch. And we have a powerlifter just 29 years of age, an anabolic steroid user, suffering a stroke and dying in a hospital the next day. It's no consolation to his family that shoulder straps must be worn at all times, or the leg length of the suit must not exceed 14 centimeters. So tell me, where does the priority in the rules lie here? And there is another anabolic steroid user, 33 years of age, whit no prior history of heart trouble, or family history of heart trouble, suffering a devastating heart attack and then, some time after, having to undergo a quintuple bypass because every artery was 90% blocked. And on and on it goes in both sports. And in bodybuilding there are similar precise rules governing such things as posing briefs and mandatory poses. Doesn't a ban against the use of anabolic steroids carry more weight than the above cited regulations? Nor are the women exempt. There are women in their mid-twenties who have used anabolic steroids heavily and who are now suffering the consequences. Male pattern baldness, excessive body-hair growth. Deepened voices. Acne problems. Menstrual dysfunction. Clitoral hypertrophy. Male physical characteristics. These have all been experienced. So where does the rules priority lie. It lies in that one rule expressly and explicitly forbidding the use of anabolic steroids not only in competition but in training. And then enforcing that rule fast and forcefully. No matter how often we forget this fact or seek, consciously or otherwise, to evade it. we ARE our brothers' keepers and our sisters' too. One of the most shocking apologies for the use of anabolic steroids I have ever had to listen to came over TV recently. It dealt with the busting of the Russian super-heavy Pisarenko, a teammate and a coach, at Montreal Airport, for smuggling anabolic steroids into Canada. "After all," said a Canadian official, "Pisarenko wasn't using steroids. He merely had them. He was bringing them in for a friend as a present," the Canadian apologist explained. Ten thousand bucks worth of steroids. Some present! Some friend! In my opinion the use of anabolic steroids by strength athletes is slowly eroding the edifice of our sport. We cannot deny the simple fact that bodybuilders and lifters use them for one purpose and one purpose only - to give them an advantage over other competitors. And for what gain? For a trophy whose shine will one day tarnish, and a reputation that will one day be forgotten. And all they will be left with - perhaps - is a failing heart, kidneys, liver, or some other medical, possibly fatal problem. Speaking as one who knows a little law, anabolic steroids are prescription drugs and the distribution of them by any person other than a doctor, who can prescribe them, is illegal. And for those who black market them, I can't find words strong enough to express my contempt or disgust. These persons have no though whatever for the long term physical welfare of the strength athlete. To me they are nothing more than bloodsuckers, concerned only with packing their pockets with dirty money and ballooning their bank balances. We must get our priorities straight. We have a lesson to learn. We have a job to do. All top sports administrators must not only recognize but admit that anabolic steroids are dangerous to use, and unfair and unsportsmanlike in that use; and their efforts must the directed to stopping this use, except by those who really need them - the terminal cancer patient - the burn victim - the sufferer from extreme malnutrition. Thomas Gray in his poem, "Elegy in a Country Churchyard" said that "The boast of heraldry, the pomp of power, / And all that beauty, all that wealth ere gave, / Await alike the inevitable hour, / The paths of glory lead but to the grave. The unethical, dishonorable paths of "glory" that some of our strength athletes are treading can, in fact will, through the use of anabolic steroids, lead them to the grave much faster than most of them care to admit.